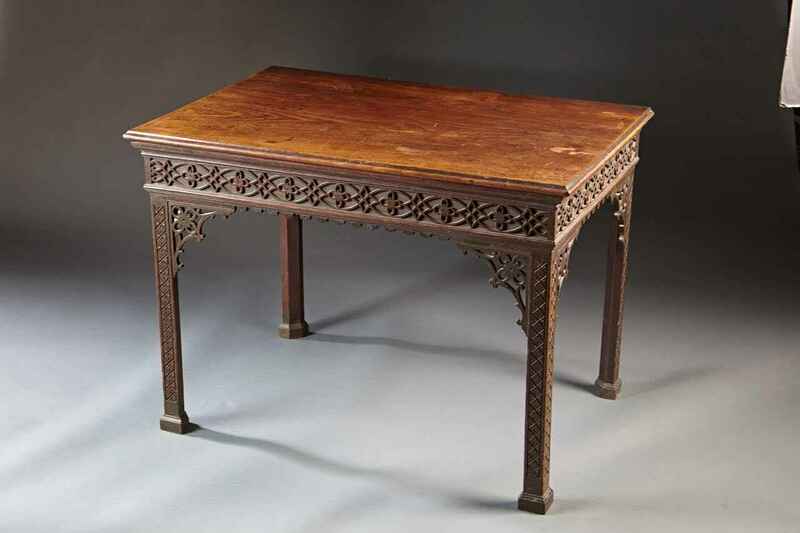 A George III mahogany fretwork console table with Marlborough legs. The single board molded edge top sets on a rectangular frame with interlaced blind fretwork frieze panel supported by four square legs with open fretwork brackets. The apron is decorated with lambrequin trim. English, circa 1760 in the manner of gillows.